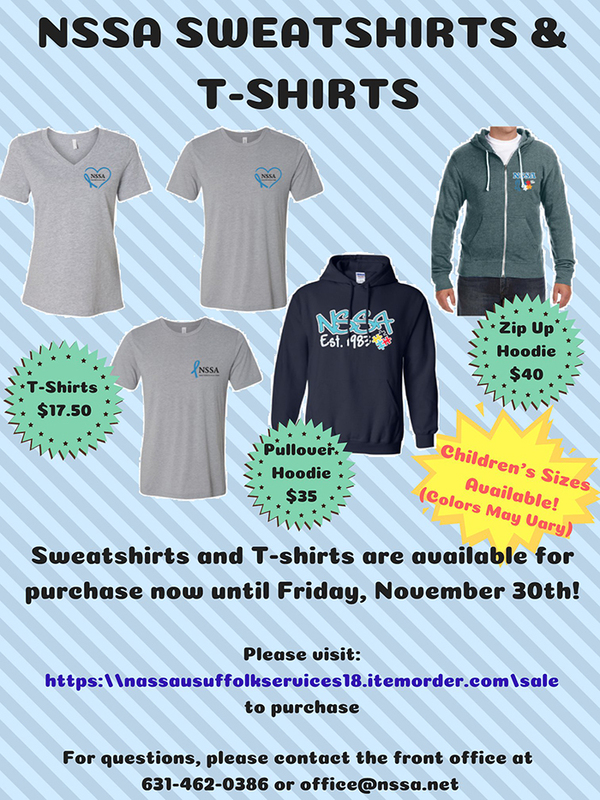 NSSA – NSSA Sweatshirts and T-Shirts Available for Purchase thru November 30! NSSA Sweatshirts and T-Shirts Available for Purchase thru November 30! We now have NSSA sweatshirts and t-shirts available for purchase! Purchases can be made online any time from now until Friday, November 30th at 11:59 pm. A portion of each item purchased is donated back to NSSA. We have adult and children sizes available.